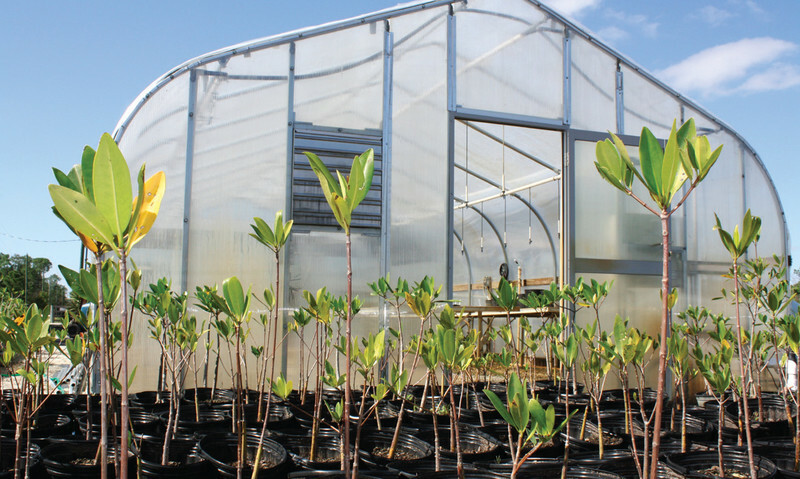 Martin County Farms supplies native plants for mitigation, restoration, stormwater and surface water improvement, and native landscaping projects throughout the state of Florida. Native plant material is available from bare root up to 25-gallon trees and larger on request. Florida’s environment is impacted by invasive plants that cause a loss of preferred habitat for our native insects, birds, and animals. After the invasive plants are controlled by mechanical or herbicide means, a native plant installation is needed to restore the natural function and beauty of the area. The staff at AVC has been restoring native habitats for our clients for over twenty years. AVC provides native plants through Martin County Farms to create a habitat haven for many Florida native animals, birds, and butterflies. Native plants require little maintenance or irrigation to thrive. Conversely, traditional landscaping requires a lot of time and money to maintain, as well as vast amounts of water. Most areas of Florida have adopted water use restriction policies in response to declining fresh water quality and quantity in surface and groundwater. AVC has worked with residential and commercial developers as well as environmental consultants to comply with wetland and upland mitigation requirements. Martin County Farms provides native plants for projects or contract grows them for clients.